We are happy to announce our participation at art berlin 2018, with a solo project by Dominik Lejman, this year's recipient of the Berlin Kunstpreis! As part of Gallery Weekend Berlin 2018, ŻAK | BRANICKA is proud to host Black Mirror, Tomek Baran’s first solo exhibition at the gallery. ŻAK | BRANICKA in cooperation with Taik Persons Gallery will be present at The Armory Show 2018 for the very first time. 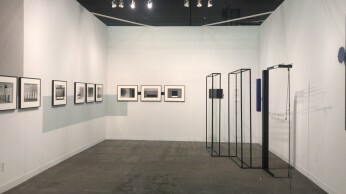 The exhibited artists will be Marlena Kudlicka and Grey Crawford. ŻAK | BRANICKA's participation is supported by the Polish Cultural Institute New York. 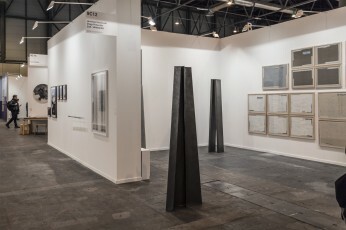 Presented on ARCOmadrid 2018 were Jarosław Kozłowski with Recycled News II and Diogo Pimentão with his new sculptures of paper and graphite.